Whilst specialising in Retirement Housing and Care Developments John Montgomery also has a vast knowledge and experience in all aspects of development planning. He is also an expert on planning enforcement and lawful use. 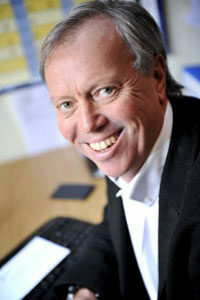 A Fellow of the Royal Institute of Chartered Surveyors and a Member of the Royal Town Planning Institute, John’s considerable experience includes the negotiation of major development projects such as solar farms, retirement villages, hotel re-developments and care complexes as well as open market housing schemes. He is also national planning advisor to the Retirement Housing Group. With more than 35 years’ experience in planning and development, 16 of which were in local government where he attained the position of Assistant Director of Planning with direct responsibility for Development Control, John has a thorough understanding of planning law and policy. John has extensive experience in Public Inquiries and is regularly called upon to act as an Expert Witness. For relaxation John enjoys sailing – both cruising and racing as well as exploring the wild coastal tracts of the West Country.